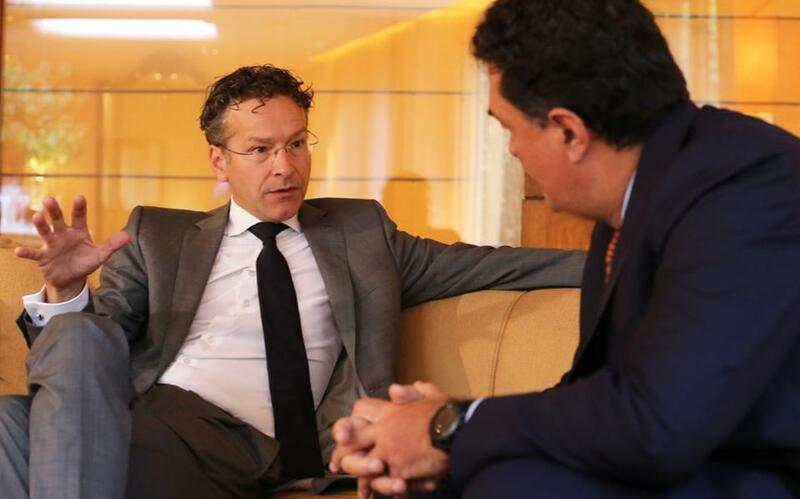 ‘Let’s make absolutely sure that together we complete the program, we manage the exit from the program well and have a deal on debt,’ Jeroen Dijsselbloem tells Kathimerini's Alexis Papachelas. Maintaining political stability by averting the possibility of early elections before the term of the present government expires in 2019 is key for Greece right now, Eurogroup President Jeroen Dijsselbloem tells Kathimerini. He stresses that the snap polls in 2014 were a mistake as they prevented the second bailout from being completed on time, leading to unnecessary damage to the economy and the need for a third program. The head of the eurozone’s finance ministers says that Athens’s focus should be firmly on completing all of the reforms pertaining to the economy and public administration, in close cooperation with its partners, so that an agreement can be reached on debt relief. 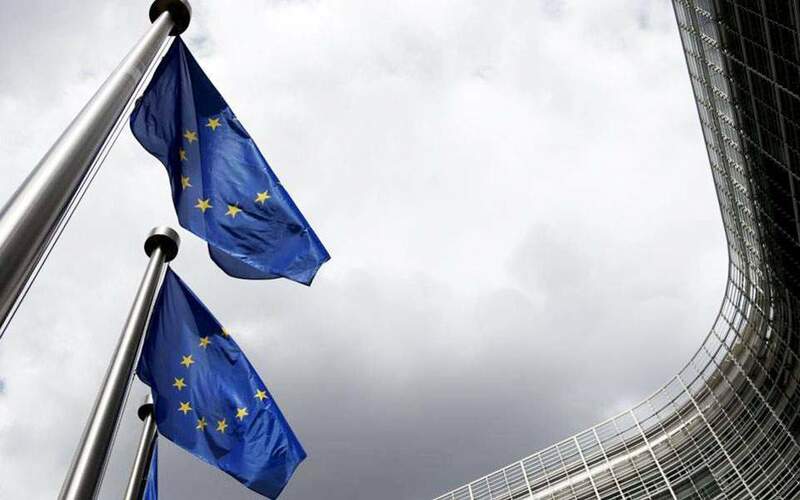 Dijsselbloem also notes that the combination of reduced state spending and higher taxes was the result of negotiations between Athens and the institutions, while underscoring that the continued supervision of the Greek economy after the end of the program is considered a given by all sides. The Eurogroup chief says that a reliable and transparent banking system is needed for Greece to attract investors and enjoy economic growth, adding that Germany’s stance toward Greece will not change despite the departure of Finance Minister Wolfgang Schaeuble. Looking back at the Greek program, do you believe any major mistakes were made? For a correct analysis, you would have to go back even further. Before the crisis. Like in many European countries, in Greece there were some big structural problems but they were hidden by the economic surge, the strong euro and low interest rates. Plus we over-credited the economy. This happened in Greece, the Netherlands, Spain, the UK, everywhere, and it made us very vulnerable. So when the crisis hit and the financial sector took a hit, the effects were much larger than in a normal crisis. Looking back now, the way we dealt with the over-crediting was of course not the right thing. We improvised. We did it in a very expensive way for the taxpayers, including the Greek taxpayers, but the same again goes in almost all the European countries. Banks were saved by the taxpayers at a very huge price, leading to very high sovereign debt. Would we do it the same again? No. We would have had stronger regulation for our banks. We would have stopped over-crediting, and if banks get in trouble from now on, we make investors take the loss, which is called a bail-in. So, I think we’ve learned our lessons. We did a lot of improvising and a lot of measures in the beginning too late. The Americans fixed their banks immediately. We took five years to do it. So we will certainly not do things the same way next time. Should there have been debt relief early on in the program? Well, if you look back at the Greek program, there was the private sector involvement (PSI) in 2012, debt restructuring at the end of that same year, when the official sector did some changes, and quite recently some short-term measures that Klaus Regling at the European Stability Mechanism (ESM) did. So, in phases we are reducing the debt burden for Greece. Should there be an up-front restructuring in the future, I would be in favor of it because in the ESM treaty it actually says that before a country can enter into a program, there needs to be some debt sustainability up-front. The only way to do that is if you include the private sector. But of course it’s a fundamental change that we have to think about. Do you think it was a mistake that no serious debt relief was granted back in 2014 when Greece achieved first achieved a primary surplus? I think the mistake in 2014 was due to the early elections. The second program wasn’t finished yet. Of course, also then, there was a link between completing the program, and then having debt relief. And at the end of 2014, Greece was doing so much better. There were strong signs of economic recovery as unemployment began to go down, confidence was rebuilding. Then, due to the political uncertainty of the elections, and then the difficult half year that followed, all that confidence disappeared again. So I think the lesson to learn for next time is let’s make absolutely sure that together we complete the program, we manage the exit from the program well and have a deal on debt by that time. 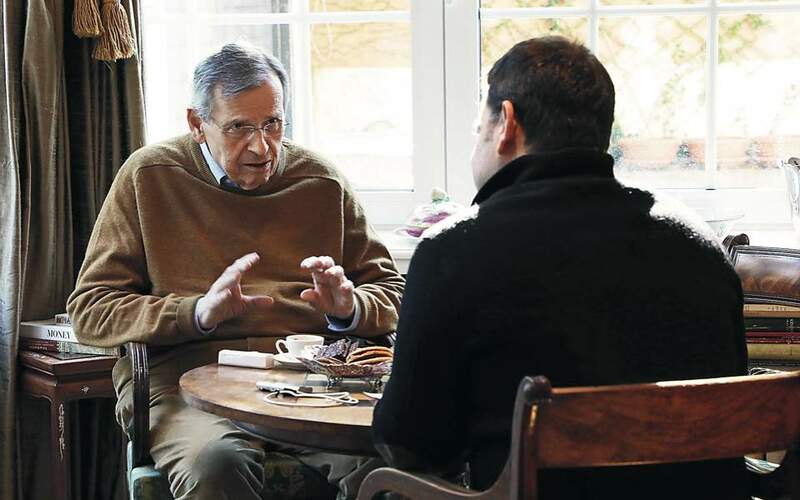 Klaus Regling estimated the damage to Greece from the instability of the first half of 2015 at around 80 billion. Do you have an estimate of your own? No, I don’t. I read the same figure in the American press where it was calculated that the setback of that time period was huge and I think it’s true. Especially for the Greek people, who were just beginning to get a little bit of hope at the end of 2014, it was a huge setback to have to suffer even more and have the economy slip back again, with another program of difficult measures. So I think it shows that political stability is key, which Greece now has. Elections aren’t due until 2019, so let’s keep it that way. Working closely with European partners, not in conflict, like we had at the beginning of 2015, but in a constructive, professional mode, the way we have it now, managing the exit and getting a deal on further debt relief. I think confidence will keep growing. Is there anything that has stuck in your mind from when Yanis Varoufakis was finance minister? What did he whisper in your ear during that notorious press conference you held together during your first visit to Athens in 2015? One day I will write it down. The fact was, of course, that we had very good talks with Varoufakis, but some of his ideas could not work. They wouldn’t work for the European partners, they were impossible in the ESM treaty. They were far outside what is allowed in terms of monetary policy. So some of his ideas were quite extravagant and simply not feasible. But it was a serious conversation. It was respectful. But then during the press conference, he went back to campaign mode and it became awkward – and I’ll leave it at that. Was there any time when you were really worried about Grexit? Well, of course in the summer of 2015. We all remember there were many questions from many sides asking if it was at all feasible for Greece to remain in the eurozone. I’ve always believed that for Greece first and foremost, but also for the eurozone as a whole, it must remain a part of our community. So in the summer of 2015, I personally pushed again and again to keep Greece in as part of the European community and the eurozone community. There was quite a bit of pushback. Was I worried? Yes. Was German Finance Minister Wolfgang Schaeuble on the other side of this debate? Mr Schaeuble is a very serious politician. You have to realize that he is not for or against Greece. He is a strong believer in the European community and the European ideals. But he’s a serious man, which means he believes it can only work if we all deliver on what we have agreed. So he always emphasizes that we must stick to what we have agreed, otherwise it will all fall apart. I think that was his main driver back then, that if the new government simply doesn’t want to respect what we have agreed between the 19 eurozone countries, specifically with Greece, then there’s no basis for cooperation. I think this was and still is his position. He believes in a strong eurozone and I think the way we are moving now and working with Greece now, everyone’s very happy about that. Do you think Grexit is off the table forever? Completely off the table. You can never say forever, of course, but that would apply for any country. Do you think the latest bailout review will be completed by the end of the year? I think it’s very important for it to be done by the end of the year. I think we still need to do a lot of work. This time, I think it’s not so much about legislation as it is about implementation, practically getting things in place and getting them up and running. I see a strong will on all sides. The Greek government has been very explicit in that they want to get it done. Prime Minister [Alexis] Tsipras has personally said he wants it done before the end of the year. I think the outside world is looking at how things are going, so I think it’s a very important step. Do you think the Greek government will be able to achieve its budget goals? It’s not for me to say. I think the improvements on the fiscal side have been so impressive but where the budget is at this moment is up to the European Commission to establish. So we will wait and see, but I can only commend the Greek government for the work they’ve done, and of course I fully realize at what cost for society this has happened. But the fiscal situation is not my biggest concern – let me put it that way. So what is your biggest headache regarding Greece now? Well I wouldn’t call it a headache, but I think the key factor now is economic recovery, for investments to return, consumer and producer confidence in the economy to rise. I’m more and more optimistic. I believe more and more international investors are again looking at Greece. International companies are coming back to Greece to see what opportunities there are as the economy is recovering, and that’s crucial for any country coming out of crisis. You want investors to come back and show confidence in the economic future and you want consumers to have confidence. That’s the key factor at the moment. As you know there have been some mishaps with some milestone investments in Greece, such as the plot of the old Elliniko airport. Are you worried about that and about the investment climate? It is not for me to judge what was said and what has happened in individual cases. I think the key factor for an investor is of course to have certainty and to have clarity on the legal system, how the government works, getting permits, etc. That is why that’s also been part of the program, to improve how administrations work, how the legal system works so that any entrepreneur that wants to set up shop in Greece has a clear position and has protected rights. So, I think that outside investors will follow these cases with that perspective. What does it mean for me? Can I do business in Greece? Is it safe to invest in Greece? My message to them would be yes, more and more, and work continues. 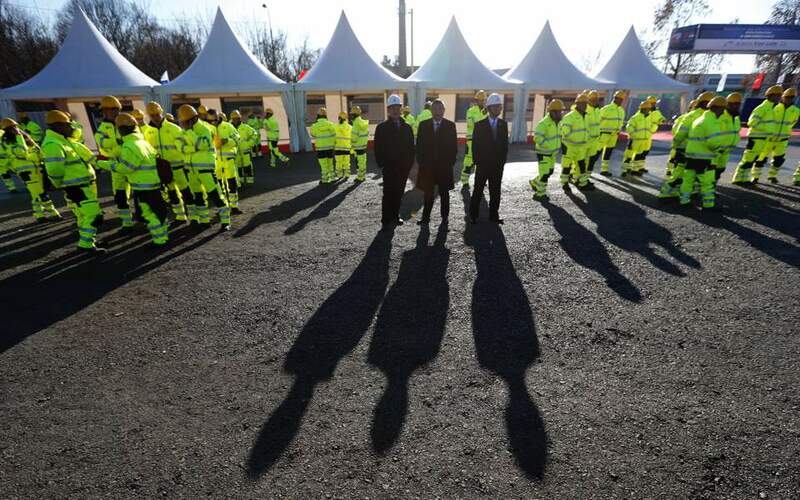 Do you think the government should do more to boost confidence? I think the key factor here is implementing what’s been agreed. On the government side, in the public sector, the independence of the legal system and the economic reforms. You have to realize that reforms are not popular anywhere because they change things and they create uncertainty. But one thing to learn from the eurozone coming out of the crisis is that those countries that did these reforms, that modernized their public sector, modernized the market economy now have the highest growth rates. This is true for Spain, Portugal, the Netherlands. The way it was for Germany in the last years, Germany had strong growth and got through the crisis well due to difficult reforms they did before the crisis, in the Schroeder period. It’s hard work. Politically it’s very costly. But in almost all the countries it pays off, so that makes me an optimist.